Expertly cast and hand sculpured. High Detail, Body and Head. 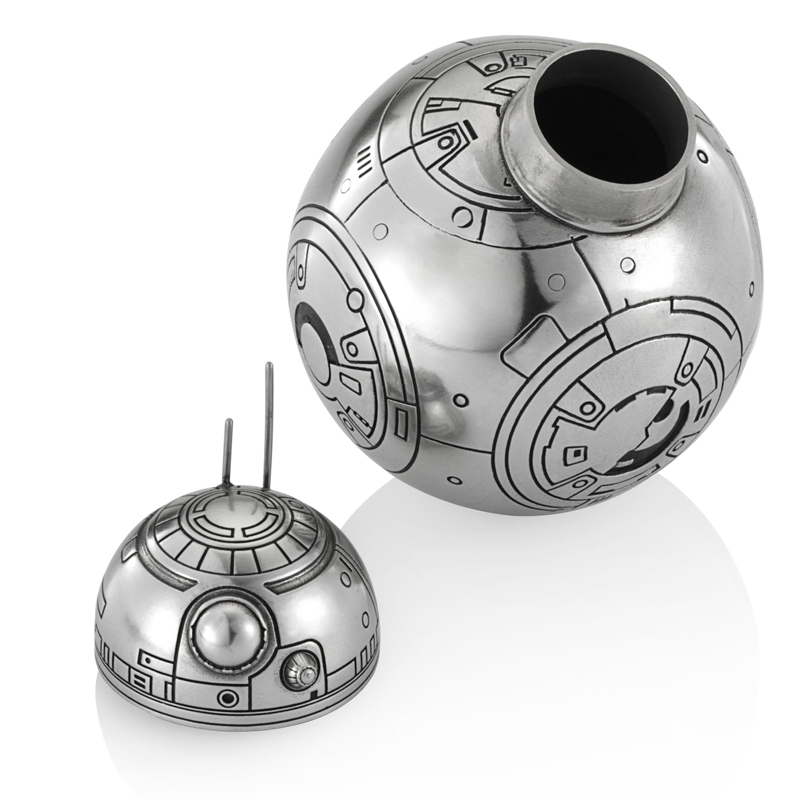 BB-8, the little ball droid's spherical form is captured in beautiful detail with this Pewter Star Wars BB-8 Canister. Each Star Wars BB-8 Container officially licensed and approved by Disney & Lucasfilm Ltd and comes packed in a very cool looking gift box. These cool Star Wars BB-8 Container's have been expertly hand crafted and CoolThings Australia through its partners have been allocated a small amount to make available to our Star Wars Fans. The precious metal from a galaxy far far away, this Star Wars BB-8 Container has been cast then hand finished from high quality pewter consisting of of 92% to 97% tin, with a small proportion of copper and antimony added to strengthen the alloy - the highest international standard for pewter. It is heavier and much stronger than standard spun pewter. While most metal surfaces might dull over a period of time, pewter does not tarnish or corrode easily. Instead it develops a pleasing subdued tone unique to the metal over time and with use, this will only add to the stylisation of this cool Star Wars BB-8 Container. This special order Star Wars BB-8 Container will be shipped out to you within 2 to 4 weeks from your order date. 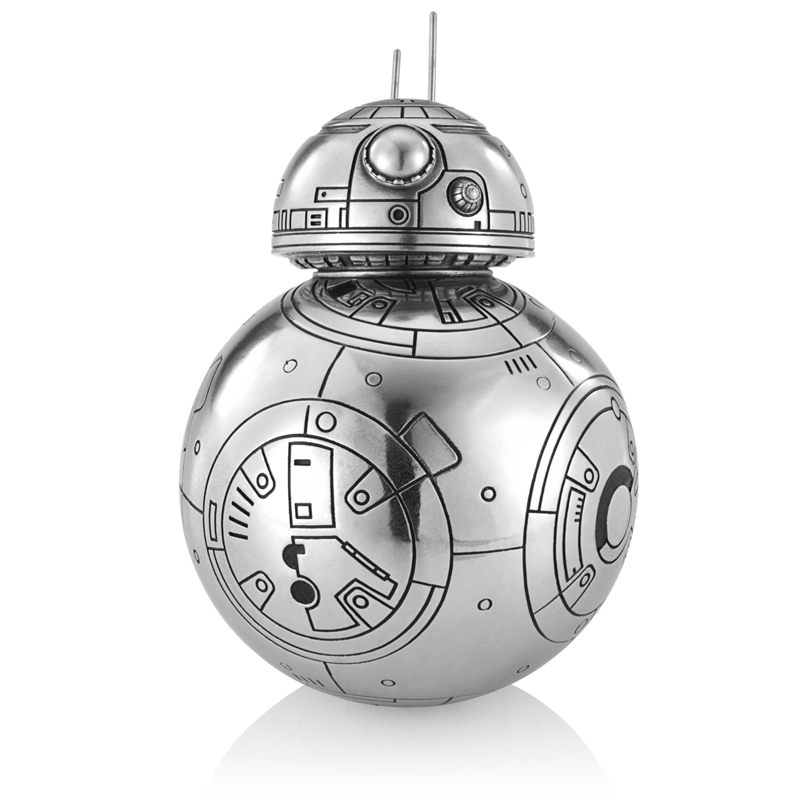 All Star Wars BB-8 Container products are shipped free standard delivery Australia Wide and are available to be delivered exclusively to Australia customers only. Due to the special order nature of this product change of mind returns are not available.